Portable dry herb vaporizers have gotten increasingly better over the last few years. While vaporizers of the past were large, inefficient, and nearly non-portable, thankfully that’s no longer the case. Today, dry herb vaporizers are much smaller, make better use of your material, and are very easy to carry around. Dry herb vaporizers do not work by combustion. Instead, your herbs are heated just to the point where the active compounds are released. This vapor, not smoke, is therefore much cleaner and more flavorful than traditional methods of consumption. Plus, portable dry herb vaporizers add a new level of customization to your sessions by allowing you to pick your temperature. Because different compounds are released at different temperatures, this allows you to achieve the exact mood that you’re seeking. It’s not easy to find a good device though. That’s why we’ve put together this list of the best portable dry herb vaporizers in 2019. These devices have been chosen based on their build quality, vapor quality, temperature fidelity, battery efficiency, and ease of use. There’s a lot to love about the Mighty, and it’s no wonder why. It’s manufactured by Storz & Bickel, who are known for their extremely high-quality products like the Volcano desktop vaporizer. If properly cared for, its rugged construction will last through many years of heavy use. When it comes to durability and efficiency, the Mighty is second to none. Weighing in at 230 grams, the Mighty is quite a bit heavier than other portable vaporizers on our list (DaVinci IQ: 145 grams, Pax 3: 93 grams). It’s also a fair bit larger. This means that the Mighty doesn’t fit very well in your pocket, and adds a fair bit of weight to your person. If your ultimate concern is weight & portability, the Mighty is probably not for you. However, there is a good reason for its size and weight; its battery. The body of the Mighty is divided in three columns. Housed on the right and left of the Mighty are separate high-capacity, powerful lithium-ion batteries. This means that the Mighty can be used for an incredible 90 minutes on a single charge and has one of the best battery lives among portable dry herb vaporizers. This makes it perfect for a weekend away, as a single charge can last you an entire weekend. The batteries are non-removable, but take only 2 hours to fully charge from dead. The Mighty perfectly vaporizes dry herbs thanks to its hybrid convection and conduction heating. Its stainless steel bowl will hold up to 0.25 grams of herb, and will reach your set temperature in just 90 seconds. Once heated up the Mighty has no problem maintaining its temperature, even outdoors in frigid winters. The Mighty can reach a maximum temperature of 210°C/ 410°F which is a great temperature range for releasing many active compounds. The vapor pathway on the Mighty is made out of heat-resistant plastic. However, it doesn’t compromise the vapor quality at all, or add any plastic flavor to your vapor. This is because the Mighty sports a cooling unit that is built right into the mouthpiece. This keeps the vapor smooth, flavorful, and cool. Operating the Mighty is super simple. On the front of the device are two adjustment buttons, alongside an an OLED display. Using the adjustment buttons you can dial in your exact temperature, and start vaping. And a battery indicator on the screen will let you know when it’s time to recharge. Worry not though, as the latest version packs 20% more battery life compared to previous models. Overall, the Mighty has some of the best flavor and vapor quality available from a portable dry herb vape. It’s quick and reliable hybrid heating allow you to extract more goodness out of your herbs, making for better vaping sessions. And the Mighty’s 90 minutes of usage time mean less charging and more relaxing. There’s a reason why they’re named DaVinci. Staying true to their namesake, DaVinci produces beautifully crafted and precisely engineered vaporizers. They’re so well made and well produced that they’re practically works of art. The DaVinci IQ in particular has some unique features that make it superb dry herb vaporizer. Weighing 145 grams, the DaVinci is pretty average in terms of weight. Compared to other portable dry herb vapes on our list, the IQ sits somewhere in the middle. It’s has a nice height of 3.55 inches, and is compact enough to fit easily in your pocket. The device features a sleek brushed aluminum exterior that is strong and light, but it can get pretty hot after a long session. Available in a few gorgeous colors, the DaVinci IQ is soundly one of the best looking vapes out there. For power, the DaVinci IQ utilizes a single high-capacity, removable 18650 battery. This allows you to swap out your battery for a fresh one when the device is low. This also gives you the option of using an external battery charger to charge your batteries faster. With the DaVinci IQ and a few 18650 batteries, you’ll never have to stop vaping. The IQ can be used for about 90 minutes on a single charge, which should get you anywhere from 8-10, ten minute sessions. Charging through the device will take about 2 hours to fully recharge from dead. The IQ produces some of the purest and cleanest vapor among portable vapes thanks to its all ceramic-zirconia vapor pathway. The IQ uses conduction heating to achieve vaporization, and an adjustable ceramic-zirconia ‘pearl’ in the oven helps to evenly heat your material. Even the flat mouthpiece and extended mouthpiece are ceramic-zirconia, so there’s nothing interfering with the flavor of your herbs. The fresh, unadulterated vapor that you get from the IQ is hard to beat. The DaVinci IQ is easy to operate, and comes with a number of options and modes. Perhaps the most interesting feature about the IQ is its 51 LED display. These individual LED’s will light up and display your temperature in a full, three digit readout. Using the adjustment buttons on the side of the device, you can choose the exact temperature you want to vape at. But you also have the option of using ‘Smart Paths’. There are 4 Smart Paths on the IQ that will slowly increase the temperature 20°F over a ten minute session. These IQ can be controlled entirely with the buttons on the device itself, but you can also use the DaVinci app on your smartphone. While not necessary, the DaVinci app allows you to customize your Smart Paths, enter standby mode, and generally use the device more quickly. For those seeking a cooler vapor, water cooling is the way to go. By purchasing the 10mm to 14mm Water Adapter from DaVinci, you’ll be able to water cool the vapor from your IQ! Now you’re ahead of the game, and vaping in 2029. The Pax 3 is perhaps the most portable out of all portable dry herb vapes. Manufactured by Pax Labs, the Pax 3 improves on the already solid foundation laid by previous Pax models. The Pax 3 is sleek, modern, and elegant, and still delivers top-notch functionality and performance. The Pax 3 weighs a mere 93 grams and is only 3.85 inches tall. This makes it a super portable dry herb vape that is hassle-free to carry around. The modern, almost futuristic styling of the Pax devices makes them an attractive choice; the exterior of the Pax 3 is made out of a high gloss, polished aluminum. Made to last, you get a beautiful modern finish that will last you through many, many great sessions. But don’t let its meager size fool you. The Pax 3 still delivers an impressive 90 minutes of usage time on a single charge. This means you can get anywhere from 8-10, ten minute sessions before having to recharge the battery. The battery on the Pax 3 is non-removable, and will take approximately an hour and a half to charge with the included PAX charger. To check your battery life, simply shake the device to see your current charge. The Pax 3 uses conduction heating to vaporize the active ingredients in your material. While convection heating is often touted as superior, the Pax 3’s heating system is so good that you almost can’t tell the difference. The large oven on the Pax 3 is located at the bottom of the device, and will hold 0.35 grams of finely ground herbs. You can also vape concentrates by purchasing the Concentrate Insert Pad. The chamber is constructed of surgical stainless steel for even heating, as well as for a more precise temperature control. Once turned on, the Pax 3 only takes 15 seconds to heat up. This is blazingly fast, and is one of the fastest heat up times among portable dry herb vaporizers. With the Pax 3, you can start vaping faster than almost any other portable device. The Pax 3 can reach a maximum temperature of 215°C / 420°F. By default there are four preset temperatures: 360°F, 380°F, 400°F, and 420°F. Your current temperature is indicated by the use of four lights on the front of the device. One light will select 360°F, two lights for 380°F, etc… But you also have the option of full precision temperature control by using the app on your smartphone. With the PAX app, you can dial in your exact temperature, select different modes for optimal efficiency or flavor, and even play games! For a portable dry herb vape, the Pax 3 performs more like a desktop vaporizer. The vapor produced is dense and thick at higher temperatures, and wonderfully flavorful. The simple, single button operation of the Pax 3 makes it very easy to use. It’s the perfect device for someone completely new to dry herb vaporizers, however more experienced users will love it all the same. The MIQRO is the little brother of the DaVinci IQ, but that doesn’t mean that it’s any less capable. The MIQRO is much smaller and lighter than the IQ, and also has much fewer LEDS. Instead of the 51 LEDs that you get on the IQ, the MIQRO has just 15. These LEDS will display your temperature one digit at a time. The MIQRO can be considered an ultra portable device, as it is only about the height of a lighter, and weighs relatively little. The MIQRO’s exterior is made out of a brushed aluminum, and because of its small size it can get pretty hot after extended sessions. However, this small size also allows the MIQRO to heat up extremely quickly, reaching operating temperature in only 20 seconds. This is exceedingly fast, and allows you to use the MIQRO quickly and on-demand. The MIQRO uses conduction heating, and this means that you’ll have to stir your oven during your session for optimal vapor production. The MIQRO can reach a maximum temperature of 220°C/ 430°F, which is more than enough to vaporize all of the beneficial compounds in your material. Because the MIQRO is tailored to be a personal vaporizer, and not really meant for group use, the oven will hold 0.25 grams. This is perfect for solo use and micro-dosing. You get two mouthpieces, a flat mouthpiece and an extended mouthpiece. Both are made out of ceramic-zirconia for a pure and clean vapor pathway. The vapor quality from the MIQRO is incredible for such a small device. Another convenient feature of the MIQRO is its use of a replaceable 18350 battery. This lets you carry a spare, and be set to vape with no downtime. It also allows the MIQRO to last anywhere from 40-60 minutes of usage time, depending on your set temperature. Taking into consideration the size of this device, it’s hard to believe that it can perform so well. But it can, and it does. The MIQRO can be controlled entirely through the three buttons on the side of the device. Like most portable vapes, you can dial in your exact temperature. But the MIQRO also features something called “Smart Paths”. These Smart Paths will slowly increase your temperature 20°F over a ten minute session, and there are four preset smart paths available on the MIQRO. If price is your concern, the MIQRO is an especially good choice. Priced a fair bit lower than the PAX 3, the MIQRO is a superb premium device and can be had for around ¾ of the cost. You can’t go wrong with DaVinci’s engineering. One of the oldest companies in the industry, Arizer have been producing great vaporizers for longer than almost anyone else. The Arizer Solo was a great device, and Arizer have somehow improved it with little changes that make for an even better vaping experience. With a weight of 210 grams, the Solo 2 is a little on the heavier side. However, that doesn’t mean it’s any less portable, as it’s still perfect for taking with you out and about on light, daily activities. However, because the Solo 2 uses glass mouthpieces, you’ll want to be careful if you’re doing anything rigorous where there’s a chance of you falling. Broken glass does not sound good. On a full charge, the usage time that you get out of the Solo 2 is insane. 170 minutes of usage time, or almost 3 full hours of vaping is what you’ll get from a single charge. This is the among the best usage time that you can get out of a portable dry herb vaporizers, and means days of use without having to recharge. The battery on the Solo 2 charges via the included wall charger, and will take approximately three hours to fully charge from dead. Similar to the Mighty, the Solo 2 uses a combination of convection and conduction heating. The oven is constructed out of stainless steel with a ceramic heating element, and provides quick and evenly distributed heat. The Solo 2 will heat up in a super speedy 24 seconds, which is certainly on the fast side. Before you know it, your bowl is heated up and ready to go. The oven will hold approximately 0.20 grams of dry herbs, and can reach a maximum temperature of 220°C/ 428°F. The vapor pathway is made out of borosilicate glass for clean, pure vapor, but this also means that you have to be very careful. The vapor you get from the Solo 2 is dense and tasty, and makes good and efficient use of your herbs. The vapor quality is super good, and undoubtedly pure. Through the use of the buttons and display that are located on the front of the device, it’s very straightforward to use the Arizer Solo 2. Set your desired temperature, wait less than half a minute, and you’re set to vape. With its awesome battery life and efficiency, powerful hybrid heating, and clean vapor pathway, the Arizer Solo 2 sits comfortably as one of the best portable dry herb vaporizers in 2019. The FireFly 2 is the successor to the highly rated FireFly, and sports a lighter and slimmer design with improved functionality. Designed as a solo vaporizer, the FireFly 2 provides on demand heating that is perfect for taking a few draws, and putting it down for later. Not many dry herb vaporizers allow you to do this, and it’s a great functionality to have. The FireFly 2 has a weight of 140 grams. It isn’t very heavy, but it isn’t extremely light either. But it’s still great for taking around and will fit nice & comfortably in a pocket. The only thing to be careful with is its magnesium alloy finish, which will be easily scratched by coins or keys. Because of its on demand heating, the FireFly 2 is able to sip power only when needed, resulting in great battery efficiency. You can use the FireFly 2 for anywhere from 60 to 120 minutes, depending on your set temperature. The battery is removable and replaceable, and you even get an extra included in the box. The FireFly 2 will take approximately 45 minutes to fully charge from dead using the included adapter. One of the best parts about the FireFly 2 is that it uses pure convection heating. The result is phenomenal flavor out of your herbs and efficient vaporizing of compounds. The FireFly 2 is meant for smaller doses at a time, and thus only has a bowl size of 0.10 grams. However, it’s very quick and easy to load another bowl and can be done in under 15 seconds. The FireFly 2 can be controlled through the smartphone app and there are 6 different temperature settings. Five of them are for dry herbs, while the maximum temperature is only meant for concentrates. The temperatures for dry herbs are: 170°C, 182°C, 193°C, 204°C, and 215°C. This gives you a wide range of temperatures that are great for releasing specific active compounds. The last temperature setting is 260°C, and will nicely vaporize your concentrates. But make sure not to switch it back before using dry herbs again, or you’ll reach combustion. Adding to the pure flavor of the FireFly 2 is its glass-lined vapor pathway. This is awesome, as there’s nothing detracting from the full flavor of your herbs. While you won’t be blowing the densest clouds, you are able to get some delightfully smooth draws. For a portable vape, the vapor quality is out of this world. It’s practically in a league of its own. Manufactured by Storz & Bickel, the Crafty is the Mighty’s little brother. And like its brother, the Crafty packs quite a punch but features a smaller form factor that is easier to carry around all day. The Crafty is durable, rugged, and made to last. With proper care, the Crafty will last you many good years of vaping use. The Crafty is a super light vaporizer, weighing only 136 grams. This makes it less noticeable when its on your person, and more comfortable to travel with. It also has a nice height of 4.33 inches and the plastic grating on the exterior adds grip. But it also functions as a heatsink to dissipate heat quickly and efficiently, and keep the exterior of the device cool. Overall, the Crafty is solidly engineered and exceptionally well-crafted. On a single charge, you can get approximately 60 minutes of usage time out of the Crafty. This makes it great for a day on the go, or even short trips. The battery is non-removable, and will charge to full from dead in approximately 2 hours. The Crafty uses a combination of conduction and convection heating to achieve perfect vaporization of your dry herbs. There are two standard settings that come preconfigured with the Crafty: 180°C / 356°F and the booster temperature of 195°C / 383°F. However, by using the CRAFTY app on your smartphone you can dial in the exact temperature that you want to vape at, up to a maximum temperature of 210°C/ 410°F. This allows for a full featured device, while still maintaining a sleek and simple exterior profile. With its folding mouthpiece, the Crafty is convenient to use, but also looks very cool. Perhaps the only downside to the Crafty is its use of plastic for its mouthpiece. But fear not, as this plastic is heat resistant, and does not add any plastic flavor to your vapor. Rather, this mouthpiece actually aids in keeping your vapor smooth and cool. And because of its hybrid conduction and convection heating, you get remarkably satisfying vapor that is dense and tasty. The Crafty is truly a great quality dry herb vaporizer, and will stand up to even the harshest of critics. Through the use of the smartphone app, the Crafty is very easy to control. You can set an exact temperature with ease, and be enjoying the vapor in no time. When the device is heating up, the LED will be red. When it’s ready to vape, the LED will turn green. And when you’re done, cleaning the Crafty is super simple too. You’ll want to deep clean it every few sessions, but make sure to dump the oven out after each one. The Crafty is definitely one of the best portable dry herb vapes in 2019. An oldie but a goodie, the Arizer Air 2 is still a phenomenal device. With a tried-and-true form factor that houses the heating chamber and battery separately, the Arizer Air 2 remains as one of the most reliable devices on the market today. The Air 2 is quite heavy at 300 grams, and so it doesn’t sit very comfortably in a pocket. It also adds a noticeable amount of weight to your person. And like the Arizer Solo 2, the Air 2 uses glass stems that are very fragile. For these reasons, the Arizer Air 2 is more meant to be gently transported in a bag or purse. It’s a solid and well-machined device that performs reliably and efficiently, despite its thicker and heavier form factor. The Air 2 uses a combination of convection and conduction heating to achieve vaporization. This results in proper and even vaporization of your herbs, producing dense thick vapor. You can dial in your exact temperature using the adjustment buttons on the front of the device, and the Air 2 will take approximately 80 seconds to heat up. This is a little longer than average, but it’s a workhorse once it gets there and can even be used outdoors in the winter. The Air 2 has a very clean vapor pathway, with mouthpieces made of borosilicate glass. Once you load up to 0.25 grams of herb in the chamber, the vapor travels straight through this mouthpiece, uninterrupted by any other materials. You get very high-quality vapor and taste when using the Air 2, above what you would expect from a portable. For added convenience, the Air 2 uses a removable 18650 battery for power. This allows you to pick up a few spares, and never worry about being without your vape! On a single charge, you’ll get approximately 90 minutes of usage time. This is about average, and is more than good enough to merit taking the Air 2 along with you for the day. Arizer have proven to be a name you can trust when it comes to portable dry herb vaporizers. So if you’re looking for a dependable vape that’s been proven to last, I would highly recommend the Arizer Air 2. What Is A Portable Dry Herb Vaporizer? A dry herb vaporizer does not combust (ignite) your materials. Rather, it is a device that is specifically designed to heat your material to specific temperatures, in order to release the compounds in the material. This produces a clean and pure vapor, free of carcinogens and other toxic substances that are otherwise released when smoking. Dry herb vaporizers are available in many different types. There are vaporizers meant for home use called “Desktop Vaporizers”, as well as Portable Vaporizers that are easy to take around with you. How Does A Portable Dry Herb Vaporizer Work? Dry herb vaporizers work by heating the material in the chamber just enough to release the active compounds. This allows you to extract the full potential of your herb, and get every last ounce of goodness out of it. Portable dry herb vaporizers use different methods to heat up your herbs. There are two main heating methods: conduction and convection. Some dry herb vapes even use a combination of the two, known as hybrids. Conduction Heating is the most popular, and uses direct contact to heat up your material. This means that you’ll have to stir your material during your session, in order to achieve even heating and the best results. Conduction vaporizers tend to be the least expensive out of the three heating methods. Convection Heating works by circulating air through the chamber of the device in order to achieve vaporization. This tends to achieve uniform, even heating of your material and removes the need of stirring your bowl during a session. Convection vaporizers tend to be more expensive than their conduction counter-parts, but will usually provide better vapor quality and finer flavor. Hybrid Heating uses a combination of conduction and convection heating to achieve the densest vapor and the most uniform heating possible. Through the use of direct contact heating, as well as the circulation of hot air, hybrid heating is the method of choice for most premium vaporizers. Why Use A Portable Dry Herb Vaporizer? There are a number of reasons to use a portable dry herb vaporizer. For one, it’s much healthier than smoking. Combusting the material releases hundreds of toxins and carcinogens, in addition to the compounds that you really want. Vaporizing your herb on the other hand, allows you to extract all of the stuff you do want, without the stuff that you don’t. Plus, using a dry herb vaporizer allows you to get more effects out of the same amount of material. When burning or smoking your herb many of the valuable active compounds are destroyed by the high temperatures. A vaporizer allows you to get the most out of your bud, and is thus very economical, too. Portable dry herb vapes are also very convenient to take out and about. With a fresh battery and a loaded oven, some of the vapes on our list will go a long way in terms of usage time. And with some vapes taking only 30 seconds or less to change and pack a new bowl, it’s even faster than rolling. When choosing a dry herb vaporizer, there are a couple of things to keep in mind. The first is how much will you be on the go, and how important is battery life? If you’re constantly on the road and looking for the best overall, you should take a look at the Mighty. It has a large, long lasting battery, and provides excellent vapor quality that is comparable to a desktop unit. If you want a device that will last you an entire weekend without having to recharge, you’ll want to check out the Arizer Solo 2. With almost 3 hours of usage on a single battery charge, the Solo 2 is the ultimate in battery capacity and efficiency. For those seeking the absolute cleanest and purest flavor from a portable device, the DaVinci IQ, FireFly 2, and Crafty are all excellent choices. Depending on your heating preference, one will suit you more than the other. But no matter which one you choose, you’ll be getting top of the line flavor quality that you can really taste. If you need a device with the ultimate portability, the PAX 3 and MIQRO should be your only considerations. The PAX 3 offers stellar performance with a wide array of options in a small and compact form factor that weighs only 93 grams. The MIQRO is almost just as small and light at approximately 100 grams, and features a replaceable 18350 battery. 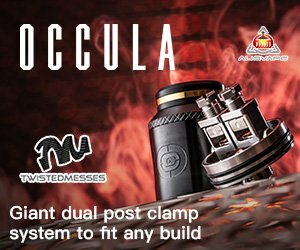 With a couple of spares, you’ll never have to stop vaping. Save Your Vaped Bud: While vaporizers are able to extract about 80%+ of the THC and other valuable compounds in your dry herb, there is still some goodness left in your already vaped bud (AVB). Save your AVB, and you can make use of it in the future for all sorts of baked goods and treats. Finely Grind Your Herbs: More important when using conduction vaporizers, make sure you finely grind your herbs. This will make for the best results in terms of vapor production and efficiency. 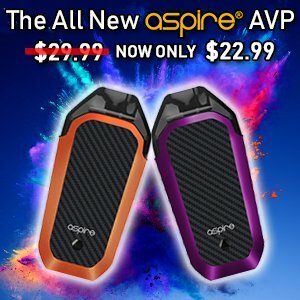 Using A Conduction Vaporizer? Stir Your Bowl During Sessions: Because conduction vaporizers use direct contact to transfer heat and vaporize your material, make sure to stir during sessions. This will allow your bud to be evenly vaped, and allow you to make the most of your material. Empty Out Your Bowl After Each Session: Emptying out your bowl after each session is highly recommended, as it will keep your gear easier to clean and running in tip-top shape. It’s best to carefully clean your oven right after you finish a session, as the hot material will be much easier to clean. Just take care not to burn yourself! Clean & Maintain: Make sure to properly clean and maintain your vapes for optimal performance. A deep cleaning should be done every few weeks or so, and should involve a complete disassembly of all user-removable parts. Giving them a good soak in Isopropyl Alcohol or swabbing them with a Q-tip will keep them running, tasting, and looking good as new.